With the wide variety of styles, sizes and price ranges to choose from there’s a home to fit almost any buyer’s budget and lifestyle who are searching for Morris Cove homes for sale. Surrounded by Long Island Sound you’ll find that many of the homes for sale in Morris Cove are mere minutes away from the beaches, parks and recreational areas. 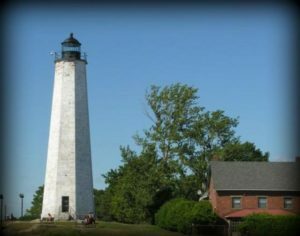 Imagine the enjoyment on a warm summer evening of feeling the cool ocean breezes blowing against your skin as you stroll along the Pardee Seawall or feel the sand between your toes on the beach at Fort Hale Park or Lighthouse Point Park. There’s also nothing more spectacular than the fiery sunsets that stretch across the skies and shimmer along the water with breathtaking beauty. If you would like more information or are ready to talk about purchasing a home Morris Cove or would like a customized list of other homes in the Greater New Haven area just give us a call. We’ll help match you up with the best homes that meet your likes and needs. And if you need to sell a home first…no worries…we can help with that too!